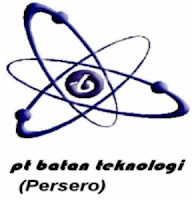 PT Batan Teknologi (Persero) become the only national company endow with capabilities for producing a wide range of nuclear products, as well as, providing services in nuclear technology application. Combining this capacity with a strong support from BATAN, the Company has been successfully serving national demand for nuclear products and services for both medical and industrial uses, as well as for R & D purposes. As a consequences of choosing nuclear industry as the main area of business PT Batan Teknologi (Persero) has the responsibility to implement all applied nuclear regulation and procedures to meet a stringent requirement to nuclear safety. Together with certified quality procedures practiced at all level, Company operation, they give a guarantee of safe, reliable quality products and services to the customers. Consistent with its vision to become a prominent national company in nuclear industry in Asia, a strategic policy focusing on a basic competency has been dictating the Company business approaches in the long run. We are confident with this policy, the Company could become a special company representing the country in nuclear business in Asia. Graduates from accredited universities min. B or accredited private university with min. A. Have the ability to operate a computer in a worksheet and other reports takes the Ms.excel / Ms.Word / other Accounting Software. Honest, conscientious, disciplined, responsible, able to work hard and be able to work in a team Work. Strong-willed and have a good motivation. Only qualified applicants will be called.